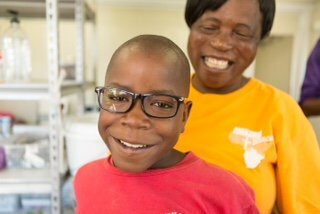 Orphans and teachers at the Tree of Life Children’s Village in Zambia have shared some powerful testimonials on how their first pair of glasses, offered by Vision For Life, have quite literally helped them to see the world differently. Zambia is the country with the world’s largest percentage of orphans due to the epidemic of HIV/AIDS and extreme poverty. There are over one million orphaned children in a country of only 14 million. Most of the children come from severely disadvantaged backgrounds of poverty, abuse and neglect. Some are HIV positive, while others come from child-headed households. All of them are in need of healing, comfort and a fresh-start. One boy, named Gift, who benefited from the donation, had the nickname ‘barnacle baby’ among the other children because his vision was so bad that he used to cling to his housemother. He just couldn’t see well enough to get around on his own. Now that he has glasses, he will have a level of freedom and comfort he never experienced before. The trees look so different now! I did not know they had leaves like that, with the green and yellow in them. They are so beautiful. 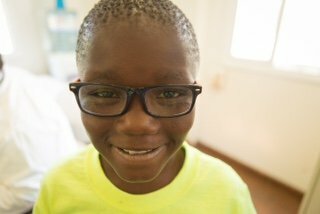 Essilor South Africa helped to deliver the children’s glasses, with one pair needing specific attention from an Essilor laboratory in France which is dedicated to producing special lenses. This made-to-measure service helps people with complex visual needs who cannot be corrected within ordinary ranges of lenses. 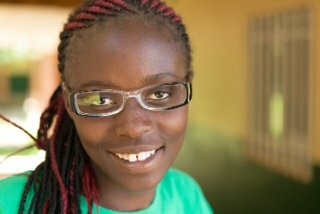 Now Angela, the little girl requiring a very specific prescription, can enjoy experiencing the gift of vision along with all her friends. “The trees look so different now! I did not know they had leaves like that, with the green and yellow in them. They are so beautiful” resumed one of the children.